Church of St Remacle, Spa. The small town of Spa (pop. 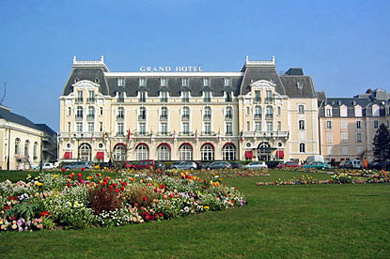 10,500) boasts Europe's oldest health resort and the world's first casino. Its thermal springs were already known in the 16th century, although it was not until the late 1700's that it was turned into the upper-class resort that made its fame. Royalties like Tsar Peter the Great of Russia, Emperor Joseph II of Austria, or King Leopold II of Belgium, and writers like Victor Hugo or Alexandre Dumas came to 'take the waters' of Spa. 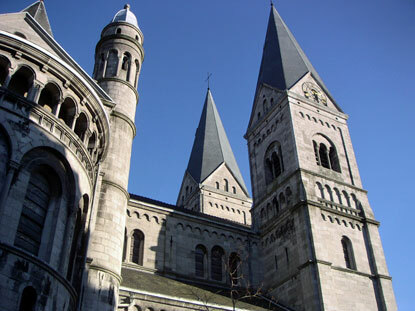 In fact, the very word "spa" in English comes from this Belgian town's name. If you feel like taking the waters yourself, the brand new Thermes de Spa will accommodate you with swimming pools, jacuzzi, Turkish baths and even mud baths, said to help cure rheumatism, among others. 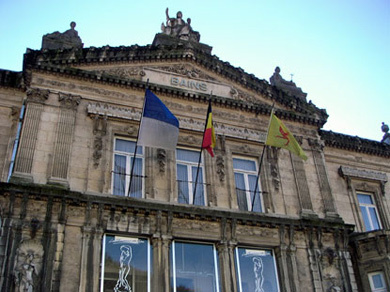 Nowadays, Spa attracts maybe less celebrities, but its bottled mineral water is still one of the major brands in the Benelux (along with Chaudfontaine, next to Liege), and also well-known in the UK and Denmark. The plant of Spa Monopole (open Mon-Fri 9am-5pm) is open to visitors. There are a few other museums in town, as well as a public swimming pool. You can rent mountain bikes and head for the woody neighbouring countryside, or if you are here in winter, it is possible to do cross-country skiing and ice-skating too. Another claim of international fame for Spa is the Belgian F1 Grand Prix, that bears its name, although the circuit is located between the towns of Stavelot, Malmedy and Francorchamps. 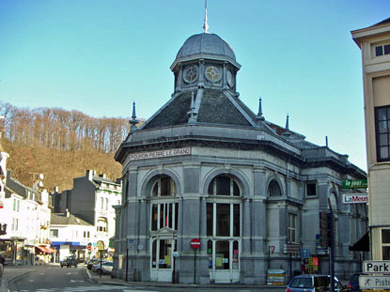 Spa is about 50min away from Liege by train via Verviers (22min). Coming by car, take exit 8 on the E421 (Verviers-Prum). You can also take the E25 (Liege-Luxembourg) and exit 45 (Sprimont), then follow the N62 for about 10km.